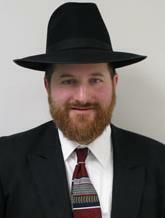 Rabbi Zvi Goldberg is director of STAR-K’s Virtual Kosher University. He oversees the Star-K’s hotline, which fields calls and emails from consumers around the world, and is the designated liaison for STAR-K field representatives concerning current data on kosher productions. As the director of STAR-K’s Virtual Kosher University, he moderates its Telekosher Conferences, the first comprehensive online classes on kosher. He also coordinates STAR-K’s annual Kashrus Training Seminar. He was formerly a pulpit rabbi in California, and currently teaches a folio of Talmud a day, daf yomi, at a local synagogue.